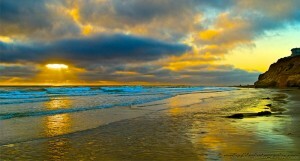 Cardiff | North County San Diego Area Real Estate :: eXp Realty of California Inc.
Cardiff-by-the-Sea is Southern California beach town in the City of Encinitas that has its very own zip code. Located just 24 miles north of the San Diego International Airport, Cardiff is bordered by the City of Solana Beach to the south, Old Encinitas to the north, the Pacific Ocean to the west and New Encinitas to the east. With a population of under 12,000, Cardiff has an amazing climate on two miles of coastline and offers a laid-back surf culture and active arts community. If you are looking for a coastal lifestyle with great weather, an active community and natural beauty, Cardiff is a great spot to call home. Located on the coast right along the 101, there is always something going on in Cardiff. The beaches are, of course, a big draw all year round. 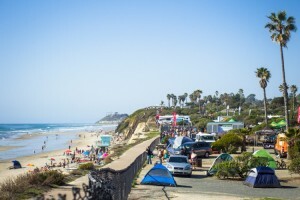 San Elijo State Beach offers beach front camping along the bluffs overlooking the water. It is a very popular destination for both locals and tourists alike. It is also a great spot to sign up for surf lessons so you can get out and enjoy the best of the beaches in Cardiff. 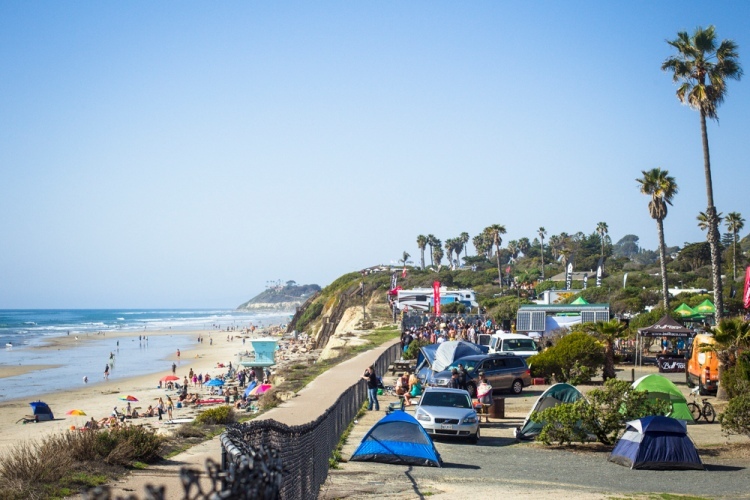 To the north of the San Elijo State Beach campgrounds, you’ll find Pipes, a popular swimming and surfing spot. To the south is Cardiff Reef – one of the most popular surfing spots in San Diego County. And, at low tide, you can enjoy the Cardiff Beach Tide Pools. There are also several community and sports parks in Cardiff that offer plenty of recreation. Residents of Cardiff are very active and take pride in their community. A variety of community events take place each year such as the Cardiff Kook Run. The Cardiff Kook is a surfer statue on display in the heart of Cardiff that is often dressed up in costumes to match the event or holiday at hand. There are lots of options for shopping and dining in Cardiff. The Cardiff Towne Center is the main hub and when you visit, you’ll see why. With several eateries, a Starbucks and the popular Cardiff Seaside Market, this center is also home to several salons, boutiques and yoga/fitness studios. Also popular in Cardiff is a string of restaurants along Highway 101 that includes: Chart House, the Beach House, Las Olas and several others. Of course, it’s just a short drive in either direction to Encinitas or Solana Beach for even more options. Public elementary school students living in Cardiff-by-the-Sea are served by the Cardiff School District and attend either Ada Harris Elementary School or Cardiff Elementary School. Public high school students most often attend San Dieguito Academy in the San Dieguito Union High School District. 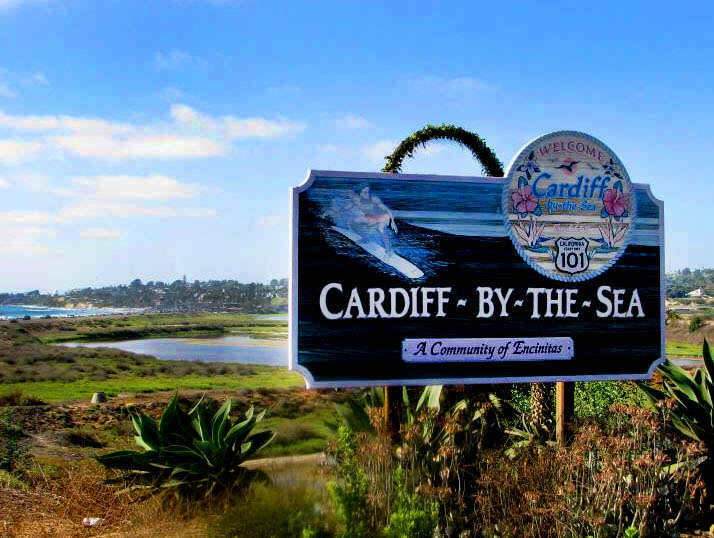 Cardiff-by-the-Sea is a small coastal community that offers a mix of different types of homes including, condominiums and detached, single-family homes. Most properties are priced between $1,000,000 and $2,000,000 and if this is an area you’d love to be part of, it’s best to plan ahead to find the perfect spot. We would love to help you start scouting. Let us keep an eye out for you so we can jump on the perfect home for your new life in Cardiff-by-the-Sea. It’s not likely you would ever visit Cardiff without hearing about V.G. Donut & Bakery. What does V.G. stand for? “Very Good!” This full service bakery is a local favorite. Their donuts are baked twice daily and they offer a variety of pastries, muffins, cookies, and even wedding cakes. With a reputation for top quality ingredients and unmatched freshness, it’s typical to see a line out the front door. V.G. Donut & Bakery is definitely a Cardiff landmark. V.G. 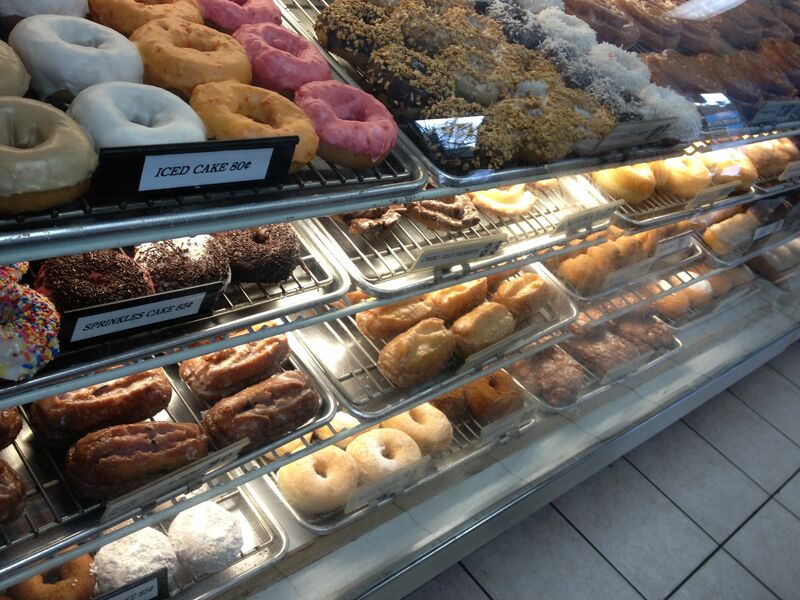 Donut & Bakery is located at 106 Aberdeen Dr., Carlsbad, CA, 92007.